Please read “Margaret Thatcher’s dead and I want to cry” by Katy Evans-Bush at “Baroque in Hackney.” It might be the most important blog post you’ll read this year. It’s a moving and honest essay on the death of a “rich tyrant.” It’s also a scathing indictment of a certain type of aristocratic leadership, and of the political and economic systems that empower and protect such leadership. I believe Ms. Evans-Bush’s analysis is not limited to Margaret Thatcher. Didn’t Ronald Reagan represent the same harsh policies, but with a kinder, smiling face and a charming personality? The essay is really about the corporate-aristocratic elite that cares nothing about the middle classes and the poor. Based on this essay, it appears to me that the “rich tyrants” represented by Margaret Thatcher, are intent on imposing a modern form of slavery, called “austerity,” on the masses. Benjamin Franklin famously wondered if the new republic created by America’s founding fathers was a rising sun or a setting sun. George Washington single-handedly prevented the new nation from becoming a monarchy. Abraham Lincoln fought the Civil War to save and extend the experiment of democracy. I’m inclined to believe that “rich tyrants” represented by Margaret Thatcher and Ronald Reagan had the effect of bending history. They turned the experiment in democracy over to wealthy aristocrats and multinational corporations. Perhaps it was a decisive turn toward a world now ruled by “Earth Inc.,” a term coined by Al Gore, the man who was probably elected president but not inaugurated. What we have now, in the early 21st century, is not democracy; it’s plutocracy. Thanks to Katy Evans-Bush for shining a bright light on the harsh truth. Your comments and opinions will be welcomed and respected. This entry was posted in Democracy, Economy, History and tagged America, Austerity, Leadership, Margaret Thatcher, Plutocracy, Politics, Power, Ronald Reagan, United Kingdom by Editor (Retired). Bookmark the permalink. But she had her good points too, She allowed to expand and grow.. She gave the ordinary person who rented their council homes the right to buy them. Where is our last PM… Gordon Brown… Last I heard he had a cushy job over at the EU along with Tony Blair We should look to really is Running our Countries? Thank you Sue. Your comments add some good balance here. 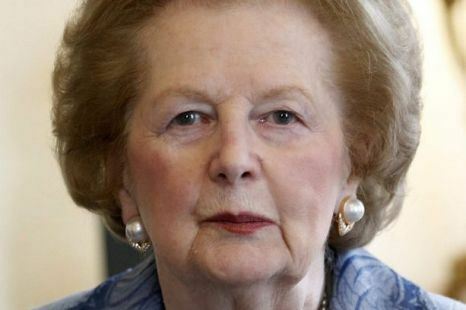 As an American, I don’t know all that much about Margaret Thatcher, except the words “Iron Lady,” which portrayed her as stony and cold-hearted. I pretty much equated her with our Pres. Ronald Reagan. I think they shared much of the same political philosophy. You’re right, we should try to avoid vindictiveness and name-calling in our politics. I hope I didn’t make my comments on Ms. Thatcher too personal. What I’m really interested here is the question of economic and political power, democracy and plutocracy. Thanks for commenting! no John you comments were based on your knowledge I understand that.. If we really look back through the years of Thatcherism, we would find at the end of them we were all in better positions than when she took over from Labour.. Labour lived for many years on the back of what she had put in place and then squandered it.. ( MY opinion ) lol..
Hope you having a good week… Just finally catching up on posts here and there..
Margaret Thatcher was no Pol Pot. Okay, my memory of her legacy is anecdotal, and from a distance, but England was in a very sad state indeed before she took over. Constant strikes and high unemployment. Don’t judge her by today’s America.. England is an economic powerhouse now, it was an economic disaster then. Here’s my bias, based on a succession of young women English women I knew quite well who were in Canada in the 1980s on work permits. These women, in their early twenties, had parents who were on the dole. And their parents parents were on the dole. Their brothers and sisters were having children out of wedlock, supported by the state in perpetuity. The work ethic was non-existent. Why work when the State will support you, quite lavishly by American standards? Thatcher changed all that. She encouraged the soon to be working class to buy their council flats, that were previously an entitlement of the State.The English have two qualities that stand out in terms of other nations. Their awful class system, and the rabid socialism of a large minority (exceeded perhaps only by the Scottish) The socialism is no doubt a reaction to the class system, that they refuse to fix. , The United States pales by comparison. Thank you, Ruth! I can see that Margaret Thatcher inspired strong feelings among both her followers and her detractors. I guess that is a sign of a great leader, or a great figure in history. The wishy-washy politicians with no ideals don’t inspire us, and will be only footnotes in history. I imagine Margaret Thatcher’s role will grow larger with the passing of time, and I hope history will remember her well and fairly for her accomplishments, as well as her shortcomings. Thanks, John, I’m glad you liked it. I agree, Thatcherism and Reagonomics were versions fo the same thing, and it was the deregulations of that era that brout about the crash in 2008. Sue, I grant you she had principles, but letting people buy their council homes has had disastrous consequences. It’s most of the reason for the current housing shortage, and lots of those flats are now owned by rich landlords, and being rented to not-very-well-off-people because there are so few council homes left. The son of Thatcher’s housing minister who passed the right-to-buy legislation owns 93 ex-council flats in one estate. Sorry to be so political, and I hope my blog post conveys the nuance of what I’m feeling, and I know it was lovely or a lot of working class people to buy their homes, but facts are facts. No provision was made to replace those homes, because the whole point was to eradicate social housing, and it’s a tragedy. Thank you! I believe both jobs and housing for the middle class, working class, are in critically short supply, and may reach crisis in near future. It’s at crisis now in many places. The shortage of housing and jobs will apply worldwide, with very few exceptions. Actually, conditions in UK, US and Canada are probably much better than many other parts of the world. We do take a lot of our advantages for granted. Politics is not an easy subject to talk about. It easily degenerates into hostility and name-calling. It’s generated into countless wars throughout history. I follow closely politics in Washington and in my state of Maryland, and I often feel that too many of the members of Congress and my state legislature are not serious people, do not have the depth and understanding to deal competently with all that’s going on. Corruption seems to be rampant in both government and corporations, but I guess that’s nothing new. Corruption has always been with us. It’s sad when someone dies, condolences to Ms Thatchers family. My post today is about Margaret Thatcher too. Your post about says it all! Wish I could write so succinctly. I’ve posted a link to it.